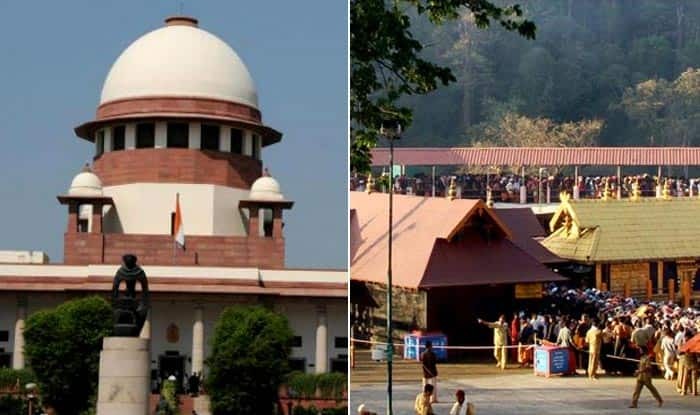 Thiruvananthapuram: The Supreme Court will hear on January 18 a plea of two women seeking round-the-clock security after they recently entered the Sabarimala temple in Kerala despite protests right-wing Hindu groups. A bench of Chief Justice Ranjan Gogoi and Justices L N Rao and S K Kaul said that it would hear the plea filed by two women — Kanakdurga and Bindu — on Friday after senior advocate Indira Jaising contended the matter should be heard urgently as one of the women was assaulted by her mother-in-law. The plea sought round-the-clock security to both the women due to a threat to their life for entering into the hilltop shrine. The plea sought directions to all authorities to allow women of all age groups to enter the temple without any hindrance and to ensure security and safe passage, including police security to women wishing to enter the temple in future. The plea said that the purification ritual is representative of a cleansing ceremony, signifying the petitioners were impure, which is violative of their dignity under Article 21 of the Constitution. “It is also in direct contravention to their rights under Article 25 where the Petitioners are equally entitled to their right to religion under the Constitution of India,” the plea said. The petition also sought directions declaring that any form of prevention of women aged between 10 and 50 years from visiting the hilltop shrine is contrary to the September 28, 2018 judgment of the apex court. “The petitioners are women aged 41, and 40 respectively and entered the Sabarimala temple on January 2, 2019, pursuant to the judgment of this court permitting women of all age groups to enter the shrine. “Since then, the Petitioners have had to run from one safe house to another, amidst violent threats against them on social media and other mediums. Fearing for their life and safety, they have had to live in hiding,” the petition said. On September 28 last year, a five-judge Constitution bench, headed by the Chief Justice Dipak Misra, in a 4:1 verdict paved the way for the entry of women of all ages into the Sabarimala temple, saying the ban amounted to gender discrimination. Kanakadurga and Bindu stepped into the hallowed precincts guarded by police three months after the apex court’s historic judgment lifting the ban on entry of girls and women between 10 and 50 years of age into the shrine of Lord Ayyappa, its “eternally celibate” deity.